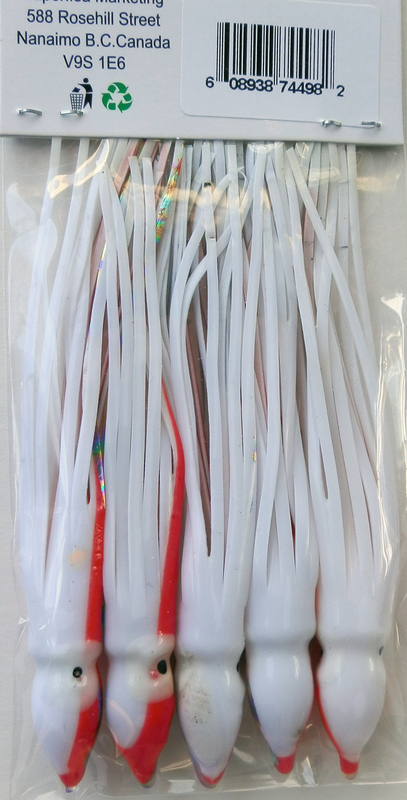 Hollow, soft plastic trolling or jigging lure. Easily rigged with beads or lead sinkers and a hook. These are commonly referred to as a hootchie, hoochies or octopus skirt. Most effectively trolled behind an action enhancer such as as flasher, dodger or spinner. Most commonly used for salt water trolling for Salmon.